Edgar Finn, M.D., brings decades of experience to the area, and hopes to "make a real difference" in children's lives. Edgar Finn, MD, joins AltaPointe Health's Sylacauga Region medical staff. Child and adolescent psychiatrists have a unique perspective among treatment professionals, and I believe we have the training and experience to make a real difference in the lives of children and their families. Edgar W. Finn, M.D., has joined the medical staff of AltaPointe Health’s Sylacauga Region, which includes four counties in east-central Alabama, and will be the area’s only board-certified child and adolescent psychiatrist. 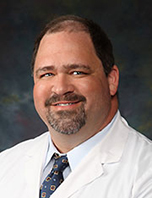 Dr. Finn joined AltaPointe in 2012, having earned a bachelor’s degree in economics from the University of Alabama in Birmingham and his medical degree from the University of South Alabama College of Medicine. His office will be in the Sylacauga Region’s Talladega clinic and he also will treat patients via telehealth in Sylacauga, Clay County and Randolph County, according to Atkinson. Dr. Finn said child and adolescent psychiatrists can “make a real difference” in children’s lives. Dr. Finn began his new duties in the region on July 9. He said he is especially looking forward to helping expand AltaPointe’s role in the region’s school systems, and Atkinson concurred. “As we grow our work in the schools, having a child and adolescent psychiatrist on staff is important,” she said. Dr. Finn cited increased pressures on today’s children due to the onslaught of modern technologies such as cell phones, internet access and video games, which all present challenges to families and children. In Mobile, Dr. Finn was actively involved in AltaPointe’s presence in local schools. Previously, he served as a consultant to the Shelby County Board of Education and Glenwood’s Allan Cott School. Following his residency training and fellowship, he worked at the Children's Hospital of Alabama in Birmingham as a staff psychiatrist. Prior to joining AltaPointe, Finn served as medical director at Glenwood Inc. in Birmingham. Finn is a Harpersville native, and is married to Sharon Finn. He has three children and seven grandchildren. AltaPointe Health's corporate office is located in Mobile, Alabama.